Welcome to Traveler for Good! Join the adventure on Bloglovin' or on Facebook. I realize it's been about two weeks since my last post and that's slackerific....even for me. After that crazy Saturday where I pulled a plane, I ended up traveling unexpectedly back to the Midwest. Then it was the theater. And some fitness. 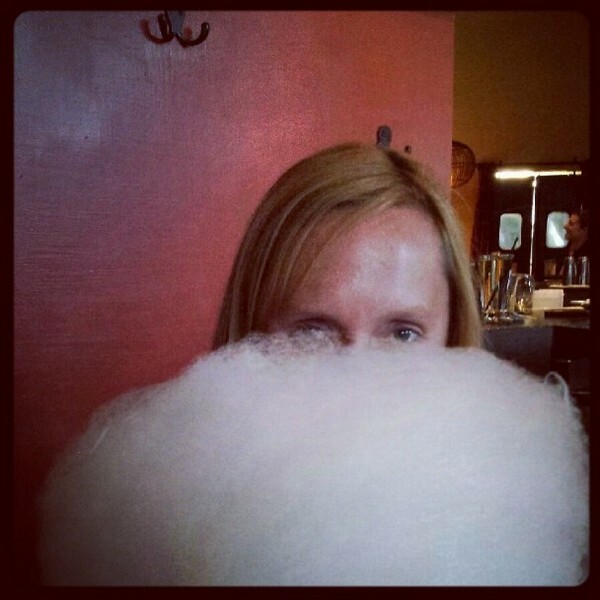 And lemongrass cotton candy. Cotton Candy as big as my head! Finally Labor Day weekend arrived. Concerts. Sun. Rain. Lots of Rain. God Bless Jason Mraz and Keith Urban who played their shows in the rain without missing a beat. Along with all the concerting and eating and drinking, there was some nature. Nature in the form of Maroon Bells. One of the most photographed places in Colorado....and rightly so. But rather than share with you standard photos (they may come later), I'm going to share with you photos taken using the fish-eye filter on my phone. I've never thought about how fish see. What in the world would happen if fish could use cameras? It would be Shark Week in reverse....our finned friends would call it Human Week and use hashtags like #humanswimmer and #twoleggedkiller. Fish Eye or Human Eye? 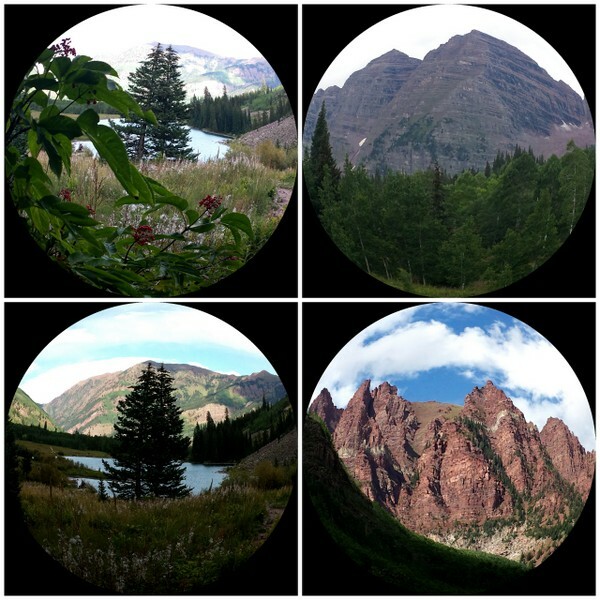 The Maroon Bells are awesome. What fun filters are you using on your camera or phone right now?